Smart HEI-Business collaboration for skills and competitiveness aims to develop new smart and innovative cooperation methods between Higher Education Institutions (HEI) and Companies. One of the proposed models is Multidisciplinary Real Life Problem Solving (RLPS). This model focuses on bringing students, HEI staff and companies to work together by forming three mixed student groups which solve the same real-life problem given by a company. The project lasts one academic semester and it starts with an intensive week in the beginning of the implementation where two student groups meet face-to-face at the coordinating university and one student group takes part virtually. All student groups get to contact with the company that proposed the project. During implementation of the RLPS project the students are supervised by teachers from participant universities and representatives from the company. In the end of the project final presentations of all three student groups are held virtually, the company selects a winning solution and supervisors give grades. During HEIBus project two RLPS project rounds will be organized and in both rounds three such projects are developed. 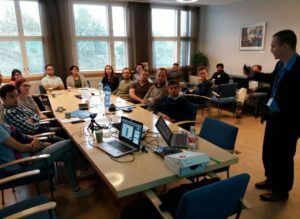 The first round started in September 2017 with three RLPS projects hosted by JAMK University of Applied Science (JAMK, Finland), Technical University of Cluj-Napoca (TUCLUJ, Romania) and University of Jaén (UJA, Spain). 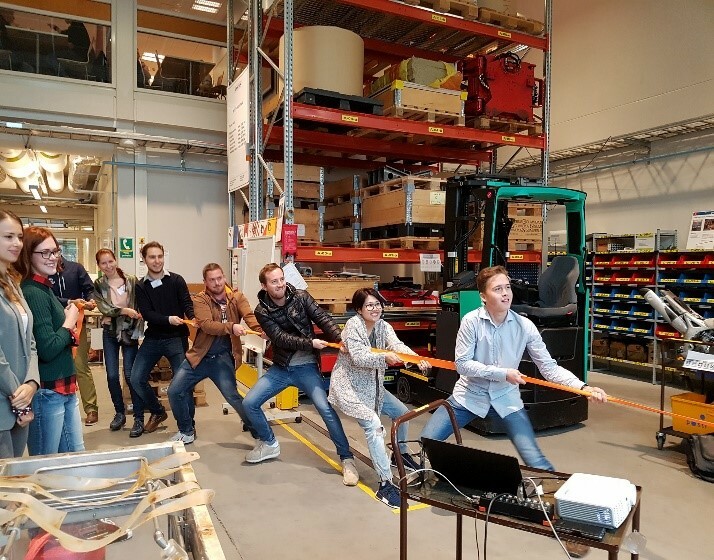 The topic for the project given by ITAB Shop Concept Finland focuses on developing a new innovation for customer pick-up and return of goods (or even services in some cases), based on a “click-and-collect/return” self service station. In this project JAMK (coordinator), Esslingen University of Applied Sciences (HE, Germany) and UJA are the HEI partners. The intensive week was organized from 11th to 15th of September in Jyväskylä, Finland. The agenda during this week included tailored lectures, kick-off meeting at the company, project work, discussions with supervisors, laboratory tour and social activities, e.g. visit to a local confectionary factory and smoke sauna evening with dinner. All three student groups worked well and intensively. 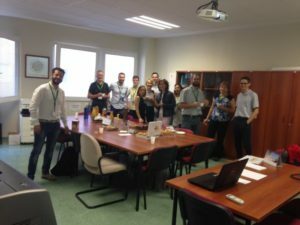 For the most of students and supervisors this was the first international multidisciplinary project and for all of them very positive experience. The topic for the project given by Automates focuses on designing a fully pneumatic portioning machine for hard and semi-hard cheese. In this project TUCLUJ (coordinator), HE and University of Miskolc (ME, Hungary) are the HEI partners. 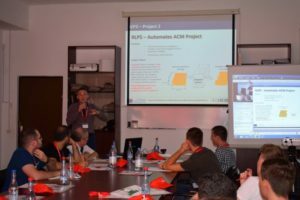 The intensive week was organized from 11th to 15th of September in Cluj-Napoca, Romania. The agenda during this week included tailored lectures, company presentation, project work, discussions with supervisors, laboratory tour and different social activities. All three teams showed great results that positively impress both the supervisors and company representative. The feedback from students was also positive; the students greatly appreciated the interaction with company and the possibility to apply their knowledge in solving the company task. The topic for the project given by Andaltec focuses on reducing the environmental footprint through the development of new and biodegradable plastic products. In this project UJA (coordinator), JAMK and ME are the HEI partners. The intensive week was organized during from 2nd to 6th of October in Jaén, Spain. The agenda of this week included tailored lectures, kick-off meeting, company presentation, two company visits, project work, mentoring and discussions with supervisors, laboratory tour and social activities, e.g. guided city tour. All three student groups worked hard and effectively and got a good start for their project. The feedback from students was mostly positive and they all learnt a new way of working. In the beginning of the intensive week the virtual student group was unsure about their possibility to get good results but in the end of the week they were very hopeful with positive attitude. In the end of the intensive week both supervisors and company representative were positively surprised about the high level presentations and progress of the student groups.